Camera must have a true 4K UHD sensor (equal to or greater than 3840 photosites wide). No looks or color corrections should be baked into the original camera files. If applicable, black balancing of camera sensors should be done daily, when the camera is at normal operating temperature. See specific black balancing instructions in the camera operating manual. Framing chart must be shot before principal photography begins, and processed through the dailies pipeline which will be shared with editorial, post-production, and VFX. Any cameras other than the primary camera (crash, POV, drone, underwater, etc.) must be approved by Netflix. Test footage should be shot and provided to dailies and post-production to ensure compatibility with primary camera. “This monitor has become the de facto “standard reference monitor” for mastering HDR content, primarily due to its stability, uniformity, and fabulous contrast ratio,” - Josh Pines, Vice President of Imaging Research and Development for Digital Intermediates at Technicolor. The New Sony BVM-X300 30-inch* 4K OLED master monitor is the flagship model in Sony’s professional monitor line-up. This high performance TRIMASTER EL™ OLED monitor includes unparalleled black performance, colour reproduction, quick pixel response, and industry-leading wide viewing angles. 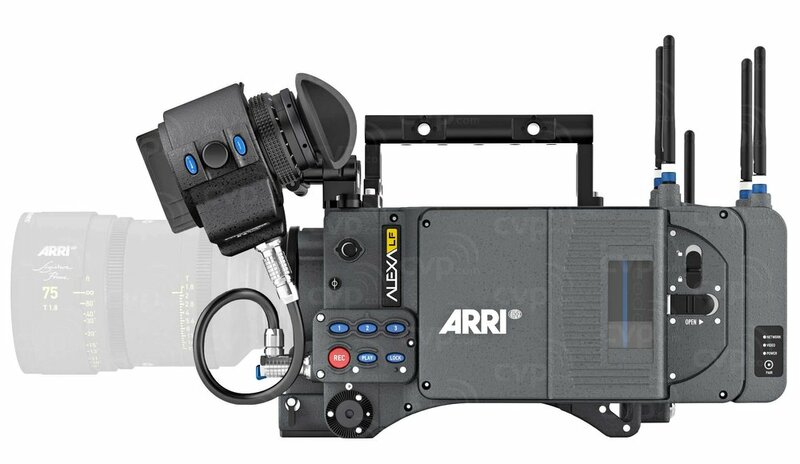 In addition, the BVM-X300 has enhanced interface and features for High Dynamic Range (HDR) live production, as well as a wide colour gamut conforming to DCI-P3 and most of the ITU-R BT.2020 standard*. By unleashing these superb features and qualities, this master monitor makes an ideal tool for a wide range of applications such as colour grading and QC (quality control) in the 4K production workflow. In the past few years we’ve been pushing the technology envelope pretty hard – trying to get higher frame rates, greater resolution, more dynamic range, more bit depth, more throughput/bit rates and RAW. High frame rate movies are the way of the future. This new standard for movie production creates extraordinary crisp, lifelike images that transport audiences into the action. Frame rates are the number of images displayed by a projector in one second. 24 frames per second (FPS) is the standard in cinema. High frame rate productions of 48 or 60 FPS will set the bar higher - and set a new standard for moviegoers. High Frame Rate (HFR) movies record and play visuals at twice the rate or more of what's shown in today’s cinemas. Increasing the frame rate stops the blurring, flickering and stuttering visuals that are common with 24 FPS movies. In 24 frame-per-second 3D action sequences, the fast-moving 3D images will appear to break apart, and most audience members will struggle to focus on the images. It’s this “image break up” that causes some audience members to feel ill or uncomfortable watching 3D movies. The problem is solved with HFR 3D movies. Higher frame rates will improve 3D movies dramatically - creating ultrarealistic and more comfortable moviegoing experiences – and set a new industry standard. – Recent releases of The Hobit (An Unexpected Journey, The Desolation of Smaug and The Battle of the Five Armies) as well as upcoming “Avatar’s” sequels – will use 3D HFR. Peter Jackson and James Cameron are betting on the fact that audiences will love the more immersive and detailed 3D HFR productions. How to use Canon C300? FilmLight has announced the introduction of Baselight 5.0, the new version of its high-performance flagship colour finishing system. Baselight 5.0 is boosted with more than 50 new features. Baselight 5.0 introduces a host of new high-tech features and creative tools to the leading colour grading application. The most notable new concept to improve colour grading techniques is Base Grade. To give colourists natural, instinctual access to subtle grading, this creative tool moves away from the traditional lift/gamma/gain approach, to a set of controls which accurately mimic the way the eye appreciates colour: via exposure, temperature and balance. It gives the grading controls a more natural feel and results in smooth, consistent changes. Base Grade isn’t the only step taken to make modern grading workflows more comprehensive and assured. Baselight 5.0 also provides added HDR capabilities through colour space ‘families’ – which hugely simplify the deliverables process for distinct viewing environments such as television, 4k projection and handheld devices – and gamut optimisation to provide natural gamut mapping deliverables and avoid clipping when captured colours can’t be displayed on a cinema or television screen. Perspective tracking of images, shapes, paint strokes and grid warps using either 4 1-point trackers or new perspective-capable area tracker. New software release Baselight 5.0 will be available for all BLG-enabled products from FilmLight, including the Daylight dailies and media management platform, as well as Baselight for Avid and Baselight for NUKE in the Baselight Editions range. The Suite is equipped with latest Assimilate Scratch 8.4 version of world's best DI software enabling filmmakers to craft the art of color grading beyond imagination. Colorist - Sudip Shrestha has joined Pixel House as a senior colorist. He has graded more than 50 feature length movies , 200 tvcs in Assimilate Scratch. Simple online help videos provide troubleshooting assistance and eliminate the need to refer to other manual. Sure, you thought about your edit, visual effects, and music during pre-production… but you overlooked color correction. This happens often, yet color is an incredibly important part of any film—a huge driver for mood and tone. How can directors and cinematographers maximize their budgets, collaborating with colorists to make their films look the absolute best for any delivery format? Best advice to filmmakers looking for great color on a reasonable budget. Independent moviemakers should get in touch with a colorist and post-production house early on to begin talks for the look of the film. “Even if you don’t wind up working with them, it’s good to get a colorist’s point of view as you’re preparing to shoot,” says Malfitano, who recently graded the Safdie Brothers’ Heaven Knows What. “Many post houses and colorists are happy to advise filmmakers at this point to start building a relationship.” He recommends sending over footage and stills to a colorist as the project progresses, so that he or she can test out some looks. In the case of The Invisible Front, director Vincas Sruoginis’s passion project about the Lithuanian Partisan Resistance’s armed struggle against the Soviet Union from 1944 to 1953, Nice Shoes’ Lenny Mastrandrea was brought on early in the creative process. So what should you discuss with a colorist at the outset? Camera: Let your colorist know what camera (or cameras) you’ll be working with, so he or she knows what file formats to prepare for. Look: Being able to convey what you want visually is key early in the conversation. Bring references so that you and the colorist have something to look at. Schedule: Give the colorist (and every member of the post team) a sense of your overall schedule. They can help budget the proper amount of time for color grading. Budget: Each project will have different budgetary limits. Don’t be embarrassed about yours—be upfront. Most post houses will develop a schedule with you that accommodates your needs. The better prepared you are before you start color grading, the more bang you’ll get for your buck. Final deliverables, like format and resolution: Your film might be shown in multiple formats (cinema, web, television, archival), so try to include a rough plan of the mediums you’re planning to exhibit with. Chris Ryan appreciates a director that can speak in the shorthand of other films. “Having worked on a range of Criterion transfers [such as 8 ½, Gimme Shelter, and Richard III], I love talking to filmmakers who have an appreciation of film. When someone comes in and can give me a film that they’re looking to reference, that really helps me better understand what they’re going for. No aspect of moviemaking is an island. Your cinematography and art direction should cooperate with color correction to produce the best results. “You don’t want to come in saying you want a really colorful film when all of your locations and sets were devoid of color,” says Malfitano. He found that while collaborating with Joshua and Benny Safdie on Heaven Knows What, an uncompromising portrayal of heroin addicts in New York City, the aesthetic that the directors had captured on set with their cinematographer, Sean Price Williams, provided a very strong foundation for the color grading process. If you intend to work with the original source footage, then your editor needs to ensure that the EDL, AAF, or XML files correlate to the raw footage and not any transcodes that have been created along the way. Make sure that the transcodes created for the editorial workflow are managed properly, and that the file names and timecodes reflect the original files. Project frame rates should match across the pipeline. If you’re unsure about the quality of the preparation, regular communication with the colorist is key. Most are happy to test material to make sure it’s in a workable state, and help you to get it where it needs to be. As Ryan color-graded with Bassam Tariq and Omar Mullick on These Birds Walk, a documentary about the struggles of street children in Karachi, Pakistan, the filmmakers found that their initial vision for the color of the film wasn’t working. “A lot of times people get used to their rough cuts. They think that’s what they have,” says Gene Curley, who recalls working with directors on two recent projects to discover the look of their films. “Robert Vorkahl’s upcoming feature, Completely Normal, was beautifully shot on the Arri Alexa by cinematographer Brian Harnick. The raw images came up really clean and getting a nice balance of color was easy. But Vornkahl wanted the look of the film represent the unglamorous, tedious lives of the protagonists. So we actually skewed colors and washed the whole look out to give it a more desperate, bleak feel. Not sure you can pull off that crazy ambitious lighting maneuver on set? Remembering that your colorist can be part of your lighting crew may save you time and money in production. Finally, leave some space for your colorist to breathe. Once a filmmaker has gone through the film with the colorist and set the looks for each scene, it’s time to let the film go for a bit. Because of time constraints, it’s often better to let the colorist work alone, and then come back for one or two supervised sessions for any final adjustments. This article appeared in MovieMaker‘s Spring 2015 issue. The ColorEdge CG318-4K appears to be Eizo's play for both its traditional market of particularly exacting stills photographers and for that part of the film and TV business. Eizo has had an enviable profile among print and design people for a while, famous for displays which achieve more or less everything that the underlying technology possibly can. The CG318 doesn't (can't) have the same contrast ratio as an OLED, but it really does have absolutely everything else. The basic spec list is a worthwhile place to start: with a full 4096 pixels per line, it's a display of about 1.9:1 aspect ratio and capable of displaying not only the most enormous workstation desktops but also a full digital cinema 4K image, not just 3840-wide quad HD as with many monitors described more casually as 4K. Perhaps more importantly, the sheer physical size of the thing, at the best part of 32 diagonal inches, begins to make 4K readily viewable in a way that 24" quad-HD displays only really do if we lean in and squint. The thing is, figures near £3000 are mentioned, which is potentially a lot for a monitor when Dell's UltraSharp 32 display, at less than half the price, is also an option. In the end, though, the CG318 starts making Dell look quite expensive, given the yawning gap in feature set. For a start, Eizo mentions a 1500:1 contrast ratio; this is both technologically feasible for a very high quality IPS TFT and readily believable in practice. Just as a subjective observation, the amount of contrast from the CG318 is literally eye-watering. Selecting the sRGB preset, (much more about sRGB below) and cranking up the variable backlight theoretically puts the monitor way out of calibration, but boy, does it look pretty to the untrained observer. Just as a demonstration of sheer dynamic range, this setup produces a display which doesn't even begin to approach the sheer power of Dolby's HDR displays, but suggest what a practical, affordable home-user version of it might look like. In a darkened room, sunset shots are squintingly bright and blacks remain solid. The backlight only goes up to 300 candela per square metre, which is pretty normal for desktop displays, but the point is that the CG318 serves as a particularly keen example of something that's increasingly well-understood as time goes by: dynamic range isn't really about maximum white brightness, it's at least as much about minimum black brightness. While we're discussing contrast, we should talk about viewing angles. Naturally, as a TFT panel, the off-axis performance of the CG318 does vary very slightly. Within that limitation, though, performance is very good. The display enjoys a wide range of viewing angles with consistent colorimetry. Beyond that range, the image just seems to dim slightly, with none of the purplish or whitish glare that becomes obvious on many other IPS TFTs. So far, so good; the Eizo CG318 is an exceptionally good full-4K, high contrast TFT monitor, which at £3000 probably wouldn't raise too many eyebrows. What makes the display particularly interesting for film and TV people, however, is that unlike a lot of cheaper options, it has built-in support for not only sRGB and Adobe RGB, but also Rec. 709, Rec. 2020, SMPTE-C and DCI-P3 colourspaces. The monitor covers 98% of the vast P3 colourspace used for digital cinema work. It is therefore suitable for more or less immediate deployment as a reference display in edit suites and grading facilities, producing anything from Rec. 709 material for current broadcast workflows through to digital cinema mastering. Other than buying one of the 4K OLEDs, this is something that could be emulated to some extent using a lower-cost TFT designed to display Adobe RGB, plus some sort of colour correction device such as a Fujifilm IS-mini, or an HDLink 4K, should Blackmagic release one. Even so, the total cost of doing this might well begin to approach the value of the CG318 and the results would almost certainly not be as good, given the high performance of the TFT panel and backlight that form the basis of Eizo's display. With the ability to upload LUTs using Eizo's supplied software, the CG318 is also more or less ready to go as an on-set monitor, suitably flight-cased and with an SDI converter to suit its HDMI and DisplayPort interfaces (there are two of each, both supporting 10-bit pictures, although the HDMI is a slight disappointment being limited to 30Hz updates). Outdoors on a bright day, the black performance versus OLED might hurt slightly more, although it's hard to see this as a huge problem, given that the CG318 has at least as much contrast as many of the TFTs that are being used for this sort of work at the moment. The lack of an SDI input is a bit of a shame, although the overwhelming majority of Eizo's customers are still photographers and graphic designers for whom the feature would be utterly superfluous. Saving the most interesting for last, the thing that makes the CG318 look like a really good deal is the inbuilt calibration. Various people have claimed calibration for their displays in the past – the Dell UP2414Q we looked at came with a calibration sheet – but the ability for a monitor to actually observe its own output is fairly rare. The CG318 includes a mechanical device which swings a sensor boom into position over the display, allowing it to genuinely measure the output from the panel and perform a proper calibration. Now, we have to reign in our enthusiasm just slightly here: a really good calibration probe is worth more than this entire display and there may be some question over exactly how good the CG318's inbuilt probe can really be for the price. Ultimately, without access to an advanced optical lab, it's difficult to qualitatively assess the situation, so I won't, but at some point, this is likely a better solution than calibrating once at the factory and hoping. Perhaps most significantly, the demo monitor is naturally brand new and the real value of a calibration probe is in ensuring that things remain in trim as they age. Comparison against a really good probe after a few years' hard use might be in order (Eizo warrants ten thousand hours or five years); shall we meet back here in, say, 2019 to discuss? Overall, the CG318 is spectacular. It is impossible to avoid the comparison with OLED; the CG318 isn't one, but then it's something like two thirds the price of even an HD OLED, and it has inbuilt calibration. There will always be a market – high end film finishing in particular - in which the only fashion dictates that the only acceptable monitoring is either projection or a Sony OLED, but outside that area, in places where purchasing decisions are based on capability not branding, really good 4K monitoring is made a lot more accessible by the existence of this display. I think people who make videos and films are sometimes a little unclear about the relationship between 4K and HD. The most important message is this: that 4K is four times the data rate of HD, and you’ll need four times the space to see it. But while there are four times as many pixels as HD, but the picture is not four times better. It’s actually only twice as good, if you measure the “goodness” of a picture by the number of pixels in a straight line. Just to be completely clear about this, 4K has only twice the linear resolution of HD. This has some very important consequences. Perhaps the most important of which is that if you degrade the sharpness of a 4K image by as little as just over half a pixel, you might as well have started in HD. Half a pixel! That’s one eight thousandth of the width of the screen. You do’t have to have much wrong with your picture to lose its 4K-ness in an instant. Remember that when we judge the sharpness of a picture, we’re not actually measuring it. What we’re absolutely not doing is counting pixels and how they merge with their neighbours. We base our impressions of sharpness on - impressions. We can be fooled into thinking that a picture is sharper than it is. Do you know how the “sharpness” control works in Photoshop? Well, I’m pretty sure that it’s evolved into something quite sophisticated, but the basic principle is rather simple. Our perception of how sharp an image is depends on edges. The more distinct edges we see, the sharper we think the picture is. When we sharpen a picture, we’re not adding information. How could we be? If adding information was that easy then I could just write half this article and move the "detail" slider another fifity percent and it would be finished! What we’re doing is saying “whenever you see an element in the image that is changing more rapidly than the others, make it change even more rapidly". Make it sharper, in other words. The sharpness of an image depends on frequency response. That probably sounds like it should be in an article about audio rather than video, but there’s really no difference. Think of a chessboard. If you were to scan a laser beam across the surface and measure the reflections, you’d essentially get no reflection from the black squares, and a 100% reflection from the white ones. When you move from black to white, the change should be instant, subject only to the width of the laser beam. That instantaneous change represents a high frequency at that instant. Whether you actually see an instantaneous change depends on the ability of your recording, transmission and display system to reproduce it. High frequencies mean more information. If you want to reproduce twice the frequency, then, in a digital system, you have to have twice the sample rate. That means twice the data. One of the easiest ways to reduce data rates is to limit high frequencies. In a sense, all you need to reduce your data rate by half or more is to introduce a low-pass filter (one that only lets lower frequencies through). Most recording, transmission and display systems do this anyway in the way that they handle the information and it’s certainly a fundamental aspect of the way that most codecs work. Let’s go back to the chessboard. What’s the effect of filtering the high frequencies out? The edges between the squares look blurred. They look like that because there’s less information to describe exactly where they are. Remember: sharpness is all about information. Artificially boosting high frequencies in an HD image can make it look significantly sharper - enough, perhaps, to make it look like it’s 4K. Another way you can sneakily bounce your HD material into the 4K domain is to post produce it at 4K resolution. Again, it’s not going to magically capture 4 times the number of pixels but any effects you do will be in 4K. For example, you might want to apply a look or some kind of artistic effect. To the extent that the effect changes the pixels, it will “create” new 4K ones. This isn’t magic: it’s an illusion, but it’s a valid one. You can also add “clues” to 4K resolution by adding titles. These will be rendered at whatever resolution you set your project to. So if you set it to 4K, your titles will be at 4K, whatever the original resolution of your material. But, do you know the best way to make your productions look like 4K? Shoot them well in HD. To "shoot well" you have to pay attention to quite a lot of things. That should do without saying, but it often doesn't. It doesn't matter if the camera says 4K on the tin; if it's not a good camera (which can mean a number of different things) then however hard you try to get everything else right, it's not going to make your HD look like 4K. Especially if you're recording to an 8 bit codec, you need to make sure you're using every one of the available bits for distinguishing between light and dark pixels. Personally, I've never understood the obsession with low light performance of a camera. Just because your device can capture video by candlelight doesn't mean you should skimp on lighting! There's more to lighting than mere quantities of photons landing on sensor elements. There's the direction they're coming from, and the overall contrasts in the scene. If you're going to the trouble of lighting a scene, you might as well do it, you know, brightly. If your lenses aren't sharp, then your video isn't going to even look like HD - never mind 4K. And make sure you know how to focus with them: basic, yes; but often overlooked. I know this cuts across what is probably the biggest trend in film making of the last five years, but, honestly, I'd rather get the shot than have to discard sixteen takes because they're out of focus. Shallow depth of field is just one of a multitude of cinematic effects. It's not a panacea and in the wrong place at the wrong time it can be an absolute menace. Any number of times I've captured an image only to find out that the tip of the subject's nose is in focus while their eye lashes are blurred. Of course big feature film budgets allow for experienced focus-pullers. But if it's just you and a DSLR, who's going to pull focus for you? And without proper cinema-type markings on the lens, it's going to be largely impossible anyway. It's a good idea to try to record at high bitrates, or uncompressed. You can do either of these if you have the right type of external (HDMI or SDI) recorder. Most external recorders will record to 10 bit ProRes at up to around 220 Mbit/s. It's an edit-friendly format, with every frame encoded individually so there's no dependency on previous frames, and recording in 10 bits gives a significant amount of additional headroom for post-processing, even if your original signal was only 8 bit. HD rules in the cinema! There is a camera that pretty much puts all of this (apart from the bit about the small sensor) into practise. How many times have you heard that Skyfall, Hugo or Game of Thrones wasn't sharp enough? Exactly none, I would imagine, even though, with the exception of Game of Thrones, which was made for TV (widely praised for its production values), these films have been seen on the biggest screens and scrutinised by the most critical of critics. Absolutely none have said it's not sharp enough for the cinema. What this proves, I think, is not only that HD is good enough, but that it can functionally substitute for 4K and no one is any the wiser. There are far more important elements that make up a picture than the sheer number of pixels. Your brain does a lot of the work. Think about your school playing field, or your favourite park when you were growing up. Zoom in on the grass so that you can see the blades waving in the wind. Now focus on a single blade of grass. Look at the markings, the nature of the edge; how it reacts when it catches the sun. Were you able to do that? Most people can. It's incredible (literally) when you think about it. And absolutely none of that thought experiment has anything to do with resolution. As we've said before, if you can acquire in 4K, then do so: it's able to make HD look better when downsampled: turning 4:2:0 into 4:4:4 for example. But if you shoot in HD in the right way, taking all the steps mentioned above (and some, undoubtedly that we haven't mentioned) then you can put your HD material on a 4K screen, and still enjoy the view. A Polish software engineer (and amateur photographer) named Michael Bemowski recently put together one of the most helpful depth of field tools out there, and the best part is that it's completely free. The tool, which you can find here, allows you to manipulate every camera and lens setting that affects depth of field, from sensor size to focal length, from aperture to the distance between the subject and the camera. Plus it gives you a handy visual approximation of what each specific set of parameters would look like in a real world setting. n order to make this tool as accessible as possible, you can download a version of it that runs offline on any operating system, and there is a dedicated mobile version as well, so you can access it anywhere at any time. Nucoda colour grading and mastering solutions have been used on many of the best known films, commercials, documentaries, music videos and television programs around the globe. The premium colour grading and finishing solution for feature films, commercials and broadcast applications. Nucoda combines a creative tool set with a very tight integration to the Avid workflow, including full support for Interplay. Setting new standards in the highest quality, Nucoda is a fully featured ACES grading system, featuring HDR grading and real time EXR file format support. With an industry leading colour toolset used by clients such as Keep Me Posted, Encore, Pixar and Disney, Nucoda creates complex looks and visual styles for animation, working in 2K/4K and stereo. Included with Nucoda is a range of image processing tools called DVO Classic, consisting of DVO Grain, DVO Aperture, DVO Regrain and DVO Brickwall. An entry level grading solution based on the industry-leading Digital Vision image science technology and Nucoda colour tools. Nucoda Look is ideally suited for use as a pre-grade assist station, either in the post production facility or on-set. It can be used as a preparation station for the Nucoda grading system to ingest or conform video or film content directly onto the timeline. It is also an excellent post-grade deliverables system.